Click here if you are unable to view this gallery on a mobile device. [cq comment=”1956 Imperial South Hampton Coupe “]Walter P. Chrysler formed the Chrysler Corp. in 1925 by acquiring the assets of the Maxwell Motor Corp. The first Chrysler car in 1926 was largely made from the designs of the last Maxwell produced. Imperial also made its debut in 1926 before DeSoto or Plymouth and before Dodge became part of Chrysler. According to my old college dictionary, “imperial” means regal, majestic, noble or grand. The plan was to build a car those words would accurately describe. 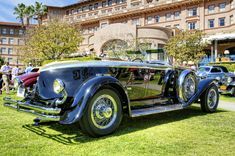 The competition for the new 1926 Imperial was Packard, Cadillac, Lincoln, Duesenberg, Pierce-Arrow and other luxury cars. List pricing for the new Imperials was from $2,885 ($40,500 today) for a roadster to $3,695 ($51,875 today) for a limo. This first-generation Imperial used a 288.6-cubic-inch straight-six engine rated at 92 horsepower. Called the Model E-80, it was the Indianapolis 500 Pace Car in 1926. The model designation meant one could cruise at 80 mph all day long, which was guaranteed by Chrysler. While the Imperials were some great and beautiful cars, they were never big sellers. Sometimes called Chrysler Imperial and sometimes just called Imperial, it was always the top of the Chrysler line. In the early 1930s, Imperial produced some gorgeous cars; then came the 1934-36 Airflow models. Chrysler always bragged about their engineering, and those ones were definitely well engineered. They were the first cars designed using a wind tunnel, as the cars of the 1920s actually were more aerodynamic if pointed backward in a wind tunnel. They were some of the first cars to use fender skirts and used a sort of unibody construction, making the cars very strong. But the public didn’t like the streamline styling, so the sales were disappointing. This seemed to scare management into very conservative automotive design until the 1955-56 models were introduced. If memory serves me correctly, every model from the Big Three was new for the 1955-56 models. They were all more exciting and attractive then previous years, with significant sales gains reflecting the public’s approval. The famous auto designer Virgil Exner was put in charge of the 1955 Chrysler passenger car lines, and Imperial became a separate make in 1955, no longer Chrysler Imperial. In a book written by auto editors of “Consumer Guide,” design leadership shifted from GM to Chrysler in 1955, and by 1957 GM was trying to catch up with Chrysler. Walnut Creek resident Dan Caruth’s 1956 Imperial is an excellent example of Exner’s styling. Except that the car was repainted the initial Rosewood Tan and Sand Dune Beige in 1998, this edition’s car is all original. 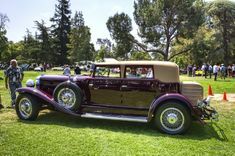 Caruth bought this Imperial in October 2016 from a collector in Southern California. Car collectors are like pet owners in that when they part with the car or pet, they want to make sure it goes to a good home. Caruth paid $25,000, but this collector insisted that should Caruth ever decide to sell this car, he would have the right of first refusal and put that clause in the contract. Caruth says the car was in excellent condition. “I have replaced the tires, and my mechanic has gone through it top to bottom and replaced the brakes, hoses and made some minor adjustments. This was the first year for the push-button transmission. This car is a very early production car, so it has the two-speed Power-flite transmission instead of the three-speed Torque-flite transmission, which was available later in that model year,” he says. This 63-year-old car has only been driven 52,000 miles. The push-button drive was pretty cool, but there was no park gear. Imperial had an excellent parking brake, but just in case, each car also came with a wedge-shaped wooden block to put behind a tire to ensure the owner that his or her car would be waiting where it had been parked. [related_articles location=”left” show_article_date=”false” article_type=”automatic-primary-tag”]Of the 10,268 Imperials built for 1956, only 2,094 were Imperial South Hampton Coupes. This is a very big car, more than 19 feet long, weighs 4,555 pounds and sits on 133-inch wheelbase. It has a 285-horsepower, 354-cubic-inch hemi V8 engine and all the bells[cq comment=”horns”] and whistles of the day, including power steering, windows, seats and brakes. The list price for this Imperial was $5,094, or about $47,750 in today’s dollars. If a customer wanted the optional first AM all-transistor car radio, that was an additional $150, or about $1,400 in today’s dollars. Air conditioning was an option, but not for those light in the wallet. The cost was $535, or $5,000 in today’s dollars. One of the most unique styling features was the round “Gunsight” taillights mounted on the top of the rear fenders. Under the right rear tail light, there is a small red reflector button that when pushed unlocks a door to reveal the gas filler. While Imperial was not too popular when new, they are popular with Dan Caruth. He owns three of them. Have an interesting vehicle? Contact David Krumboltz at MOBopoly@yahoo.com. To view more photos of this and other issues’ vehicles, search for “David Krumboltz” at mercurynews.com.